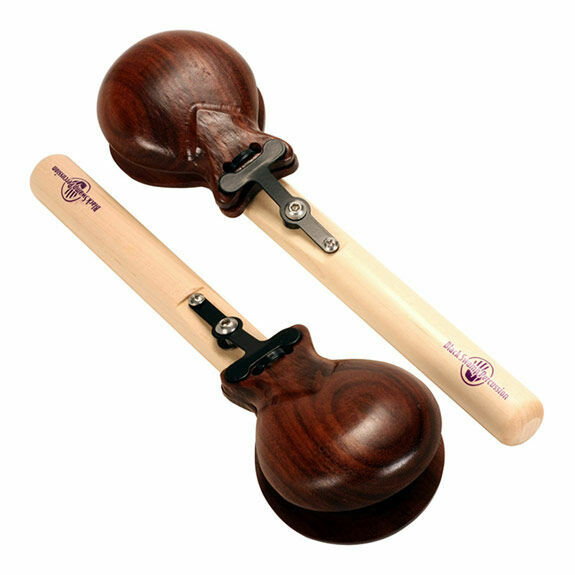 Black Swamp Percussion Grenadillo Castanets feature 2 7/8" Grenadillo Castanets and an elastic free handle design lets you articulate rhythms in the air or on your knee, and allows the castanets to properly seat against one another, retaining the full resonance of the internal chamber. Castanets are machined in house for complete control over consistency, sound quality and performance. Brief product demo for BSP Grenadillo and Rosewood castanets.